Hello from the other side… of the world. Hey, this is Caleb, the Smith’s MTW intern for this Summer. For half of every year, the Country of Cambodia is exactly twelve hours ahead of eastern time (eleven hours ahead during EDT), which means that I am about as close to being on the other side of the globe from home as possible. Weird thought. Anyways, here’s some interesting stuff that’s been happening! The four connecting flights were a good time. If you’re remotely curious, please read my Open Thank-You Letter to Qatar Airways for some thoughts. It was too much to write in one post. 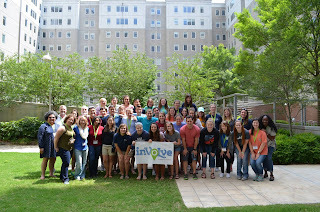 PFT is a brief conference at Georgia State University where many of Mission to the World’s Summer interns meet to discuss a variety of topics related to our work for the Summer. Though I was aware of some things I will be experiencing in Cambodian culture, I hadn’t even considered many of the moving pieces regarding immersion in such a radically different country. Our time was spent discussing a plurality of topics including culture shock, adaptation, conflict resolution, child protection, how to ask the right questions, and much more. What is that culture shock thing and how does it work, you ask? Frankly, I would be lying if I pretended to remotely know the answer before I’ve even spent a week in Cambodia, but I can tell you this: While in Hamad International Airport in Qatar, I experienced the desire to listen to country music. Like to actively seek out country music… and listen to it. If you don’t want that to happen to you, I can’t say that I would suggest traveling alone to the other side of the globe. Undoubtedly, the best part of PFT was the chance to meet a lot of really amazing people going to places all over the world to do similar work for MTW and the gospel. Just from my group, there were people going to Japan, Canada, Belize, Belgium, Greece, Ireland, Costa Rica, Honduras, and Cherokee Nation. It was so exciting to meet so many people who are passionate about God’s work all around the world. Luke and Sokha Smith’s baby was born! 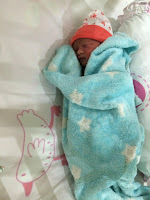 They’re baby boy, Asa, was born yesterday in the afternoon about an hour before I arrived. Please be praying for Sokha’s recovery and the transition back to the village. Chum Mey, one of the few survivors of S-21 prison. Personally, this week is a crash course in Cambodian (Khmer) language and culture before I get to go to the village with the Smith’s. This morning, I was given a short lesson by a Cambodian team member on the do’s and don’ts of general interactions. I also had the opportunity to visit S-21, a prison used to by the Khmer Rouge to carry out genocide in the late 1970’s (the Khmer Rouge caused the deaths of over one quarter of Cambodia’s people during its reign; visit http://www.cambodiatribunal.org/history/cambodian-history/khmer-rouge-history/ if you would like to find out more). This afternoon, I also had one of the three Khmer tutoring sessions that last two hours each. I never realized how consistently I zone out during my classes until today. With tutoring, you markedly do not get that luxury. I imagine language tutoring is kind of like being interrogated by a foreign customs officer, except they’re not suspicious of you, but they are deeply concerned about the way you keep on using your throat to pronounce the “dteh” sound. Shout-out to Nara for an unbelievable amount of patience. Lastly, tonight I had the chance to grab dinner with almost the entire MTW Cambodia team. They are pursuing the Lord in an incredibly inspirational way and are so passionate about learning from and giving back to the people of Cambodia. Joyfully, they are welcoming me with open arms, taking me into their homes, supporting me, and are laughing along side me as I make a fool of myself here. Hello, my name is Caleb Robey, and I am serving as Luke and Sokha’s intern for this Summer. I will be posting my blog updates here! “Something went seriously wrong during your upbringing.” – my grandmother to me in regards to the tendency that my sister and I have to travel to “obscure” (her words) places in the world. She’s probably right. We are kind of strange. I talk while I sleep, secretly listen to T-Swift more frequently than I’d like to admit, and am not particularly fond of Netflix. For the sake of my life, I’ll go ahead and not give examples for Keelyn. But, in defense of my childhood, I’d like to talk about what I will be doing in Cambodia for the next seven or so weeks and why I am doing it. Good question. This morning, I am leaving for Atlanta, Georgia where I will be spending three days with a team of interns who are all traveling to various places in the world with an organization called Mission to the World. For me, the final destination is Angk’jeay, Cambodia (don’t try googling it; you’ll break Google). I will be spending eight weeks there. At this point, my responsibilities during my time in Angk’jeay could include a variety of things. Going overseas on a mission trip, I’ve been told that the best expectation to have is that your expectations are probably wrong. I like that. I do however know that I will be teaching English and guitar classes (possibly computer lessons and Bible studies as well) and generally be helping the church in the village any way that I am able. More than all of that, however; I will have the chance to meet the people who live in Angk’jeay and spend time with them. A large portion of those people will be elementary through high school students, some of whom I’ve already talked to a bit on Facebook (shout-out to Veasna and/or Sophea if you’re reading this). This is the part about which I am most excited. I’ve never had the chance to be outside of the US for more than eight or nine days, and I certainly have never had the opportunity to develop sincere friendships with people who live in other countries. Thus, I am well aware that I have an amazing opportunity in this trip and am unbelievably stoked. If you have asked me this question in person, I have likely enumerated one of a hundred different reasons for why this trip is such an amazing opportunity. I promise that I wasn’t lying, but I seldom have answered with the most fundamental and the most accurate reason. Namely, the reason is this: I believe that Jesus Christ was truly the son of God, that he was crucified on a cross, and that he rose from the dead to pay for the sins of anyone who would believe in him. I believe that he created a church, full of imperfect people, to continue his ministry in this world. I believe that this church is responsible to act just like Jesus did. It should help the oppressed, the afflicted, and the marginalized. It should gracious tell “all nations” (Matthew 28:19) about both the free salvation from sin and indomitable joy that come through faith in the sacrifice of Jesus. And this church is neither American nor white nor black nor brown nor any one demographic, gender, or nationality. This church is universal. That is why I am going to Cambodia. I desire to see, experience, and even assist in the work that Jesus Christ is doing in one of many nations that is not my own. In a place where Christianity is obscure and sometimes even ostracized, the church is growing rapidly in Cambodia. I am incredibly passionate about what God is doing there, and I hope that you’ll join in this with me.